Let’s hope the rumor is true, Hitman fans. According to a report from German website Gamestar, a reliable source stated the rights to Hitman would remain with IO Interactive (thanks, PCgamesN). 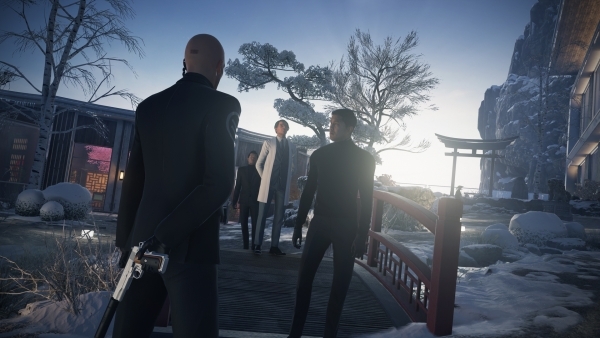 The site was also told Hitman: Season Two development was at the halfway point, and on track for release close to or in 2018. IO had initially planned three seasons. “We can not reveal any further details on the origin of this information, but we would like to state that the information is absolutely reliable and secure,” said Gamestar. While Gamestar is a reputable site, as with all rumors no matter the source, it’s best to keep hope at a minimum in case nothing pans out. Earlier this week, it came to light Square Enix was putting IO Interactive up for sale when the firm released its year-end financial report. Alex, like many other Hitman fans, was rather bummed over the news. It was unclear at the time whether Square would retain the rights to the Hitman IP, or if it too would be sold along with the Danish studio. When asked about the IP rights, Square said it had no further comment on the matter beyond news of the pending sale. We’ll be sure to keep an eye out on any news pertaining to the situation.